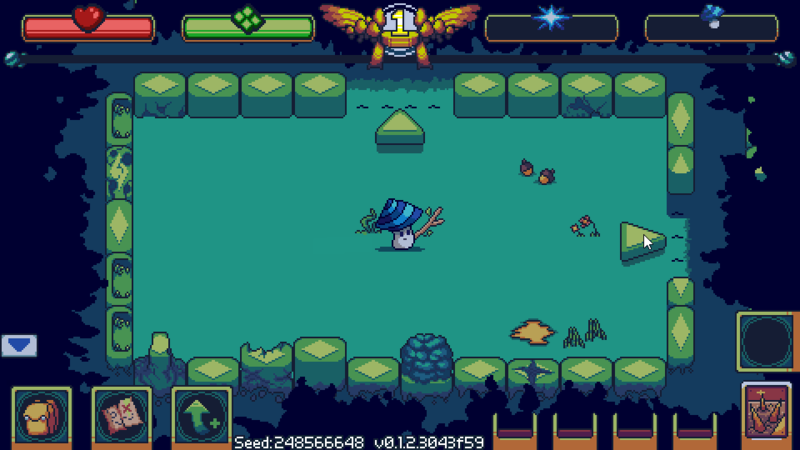 Caiam Piter and the Mushroom Kingdom is an exploration based 2D RPG dungeon crawler where you take the role of a mystical mushroom with an important mission: expand your fungi to virgin lands. The kingdom has flourished with all kind of fungi, making it hard to find food and have an easy living, a lot of mushrooms are being born with the only mission of leaving this lands in search of a new horizon, but the kingdoms armies will make everything possible to stop them to get any further. Fall and rise again as you spread your spores longer and longer till your fungi is finally free! 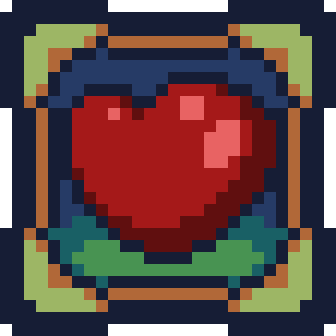 The main gameplay feature of the game is discovering new rooms which will challenge you or reward you in different ways, expect some classic ones with chests, combats, and resources, but also traps, NPC's, riddles, puzzles and quests that spread across different floors, just to name a few! 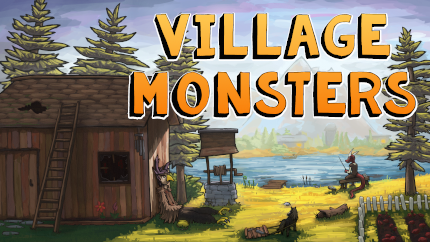 As you may already guess this game is procedurally generated in different ways. You will be traversing the kingdom floor by floor, with each one of them having different sizes, shapes, and challenges. Each room behavior is also procedurally set in the floor according to different narrative rules creating a single cohesive floor experience that can change greatly each time you play it. 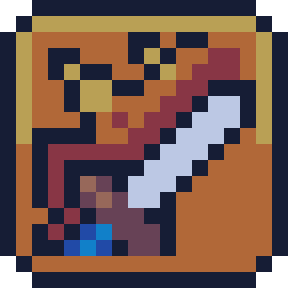 All items you find in the kingdom are procedurally generated as well, you’ll find a lot of gear, weapons, and artifacts that will aid you in your quest. Did you know all these are also fungi inspired? Enemies will react at the procedural systems, once you start combat these enemy mushroom will be created to make a good challenge for the floor you are, getting tougher and agile as you go deeper. Of course, there will be a ton of different foes, all mushroom inspired. If you are defeated at any point Caiam Piter will release its spores, making your fungi grow in size and expanding further deeper in the floors, allowing you start with a new mushroom in any floor that your mother fungi have reached, this way if you keep trying you will eventually conquer all the challenges of the game. 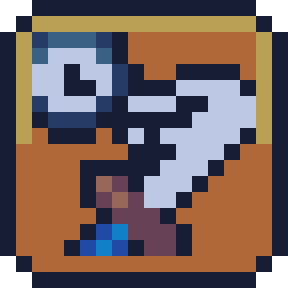 As you go deeper into the kingdom floors get bigger, more maze-like and hide more secrets, you will want to remember where things are and how to get to them, for this you can make use of the minimap, which shows what you have explored, and, if you have the right items, you can see even what you haven’t explored yet. One key element for survival is to find items and make good use of them, you don’t have a backpack to carry tons of them so choose well what you equip and what not. Don’t forget to see how it affects your stats and attributes! There are a lot of things to consider when going through the dungeon, but in general, you will have to pay attention to these four bars always visible at the top of the screen. Life is your main focus, you run out of it and you are done for. Food is what you use to move around places you haven’t explored yet. Also, its required to use all kind of skills. 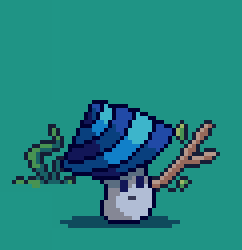 Luminescence is a rare resource with a variety of uses, some mushrooms really like this while others are repelled by it. 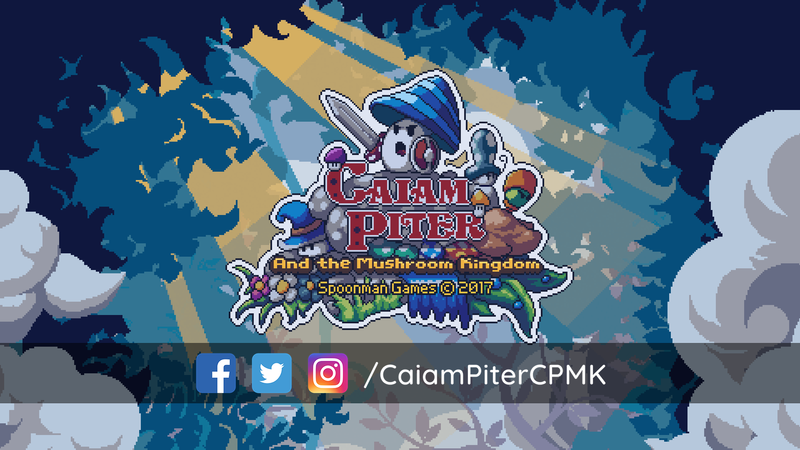 Caiam Piter is being developed by Spoonman Games, we are currently just two people trying to make a life out of game development and in the making of this game we have become mycology enthusiast. 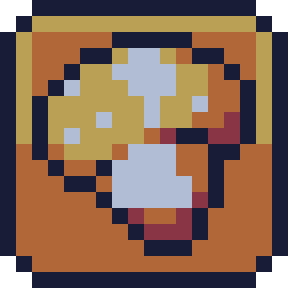 We are basing all design and gameplay choices on real mushroom features and characteristics. We have taken some liberties to make it more game-oriented, but most stuff you would expect a mushroom to do it will be done in the game. 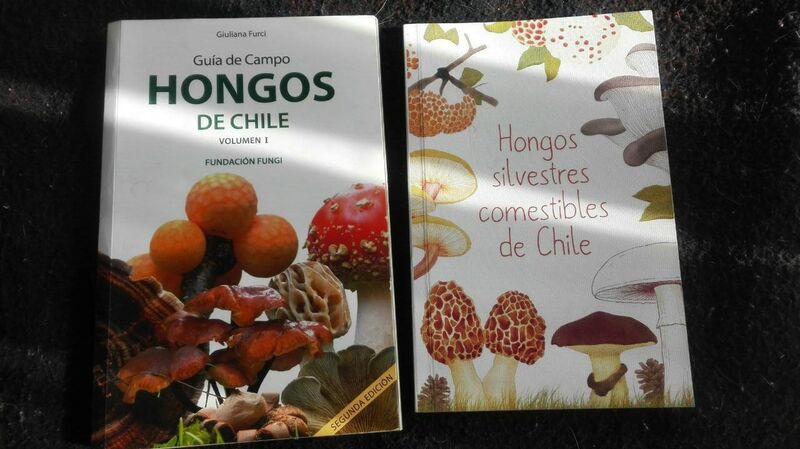 We will be using mostly mushrooms of our region (Chile), but we will have some world famous one like the Death Cap and the Amanita Muscaria, would you like to have a specific fungus in the game? Just let us know, fungi love is for everyone! I like the art style and love the idea of a mushroom as the hero. Some questions... Is the movement only from room to room? No walking around in them? If so, how does the fighting work? Also, what is the target platform(s)? Yes, the movement is only from room to room, in most of them you don't have control over the character (Caiam Piter) to move at all, while some others, lets you move to fixed positions to avoid some hazards or activate something in the room itself. Combat works with Caiam Piter in the middle of the room and all enemies coming closer to him, you have to hold your position. With the mouse you can select which target attack and Caiam Piter will attack him automatically with the weapon it has, speed and damage depend on your stats and the weapon itself. You have control over when to use the shield to block and to use skills, so it's more strategic combat than not, as you will have to pay attention to the kind of enemy you are fighting and prioritize which one kill firsts. The game is planned for PC (Windows, Linux, and Mac) at the moment and it would be amazing if we can get it into consoles as controller support is something that the game will have for sure. interesting idea!! I love the designs and overal aesthetic of the game. - Is this a roguelike game? Perma-death? - Is it for PC? - And last but not least, the palette looks grim and little bit too dark, kind of a dim night theme, it's on purpose? 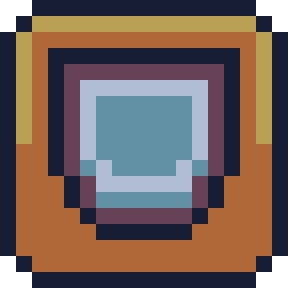 It could benefit from at least one highlight color on some tiles or characters, that would add more contrast and vibrance. Looking forward as always to your progress! I like the roguelite hooks that a fungus brings. As in real life you can kill him, but you can't stop those spores! Anyhow, gave you a follow. Looking forward to seeing how this pans out! 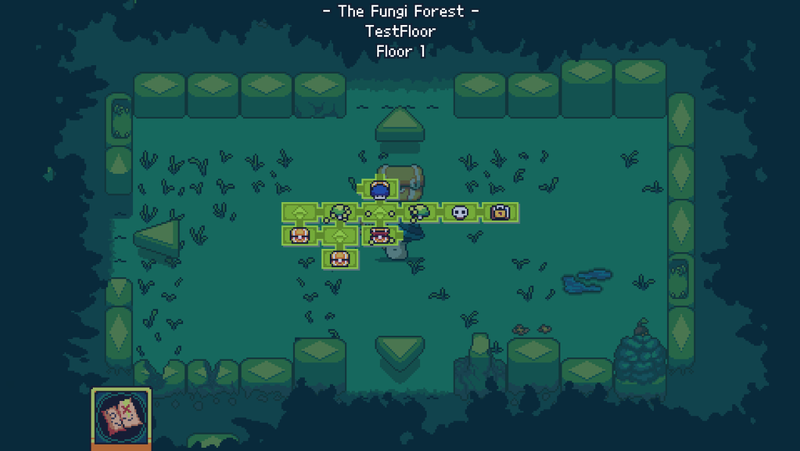 Yes, it is a rogue-like game, although it has some twists and changes suited for the fungus theme we are going on. At death, you lose all items you are carrying, but your character level remains, being born anew with your stats slightly different. Also dying makes you release all your spores to the world, making your mother fungi growth larger, this will allow you to start again at any floor level where your fungi have grown so you don't have to start from the beginning of the game each time unless you want that. 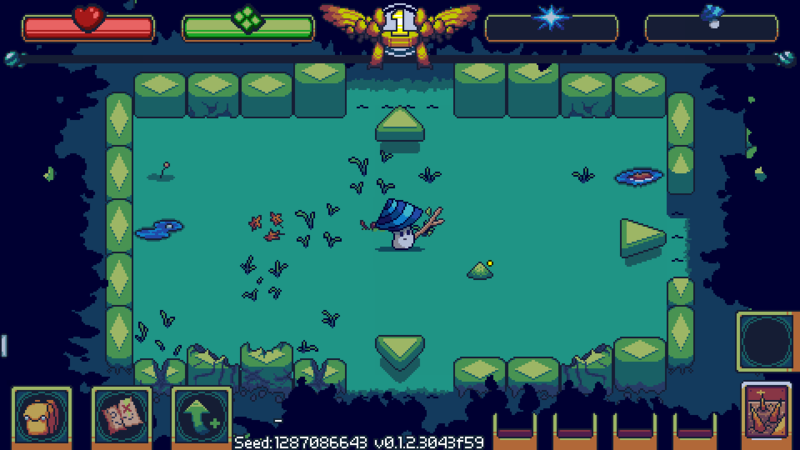 As for your last feedback, yes it is on purpose, I agree we need some bright colors somewhere at the background, but mushrooms use to grow in dark and magical places so we are aiming for that too! Thank you for the feedback Josh! Everything looks fantastic. Nice to have all this in one place. The core of the game is a dungeon crawler, and because of this the size and shape of the dungeon are very important as they drive a concept that we want to emphasize a lot: exploration. 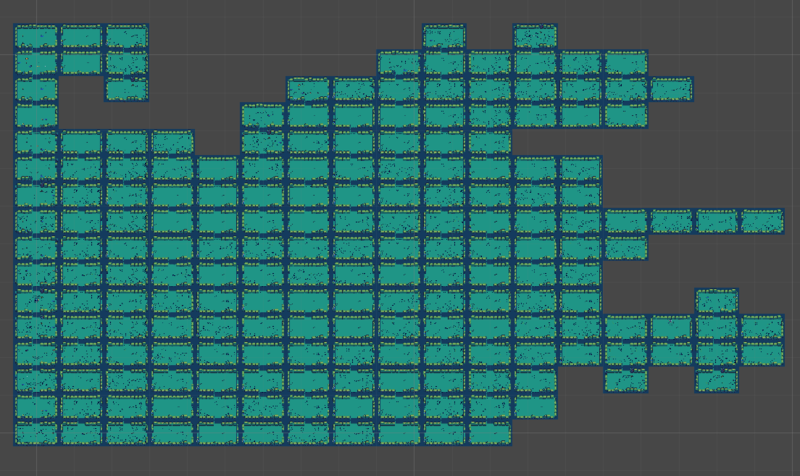 The dungeon shape can go from very small and contained to huge and expansive. 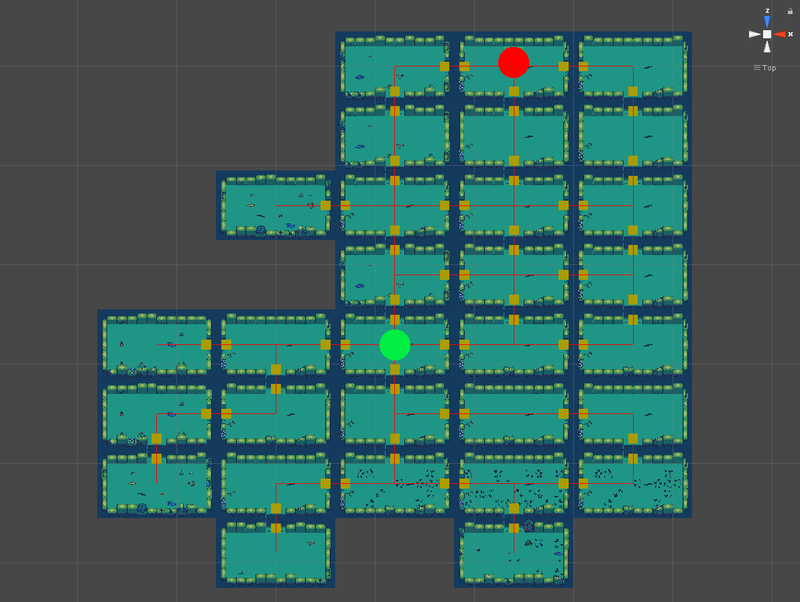 This look like a huge grid, but not all rooms are connected with each neighbor, it more like a maze, with loops, dead-ends, and interconnections. A Loop set of rooms. A Dead-end room, it has just one door. An interconnection has two or more doors. This means that even if a dungeon has a grid nature and layout, the actual exploration is different and doesn’t follow any grid rules. 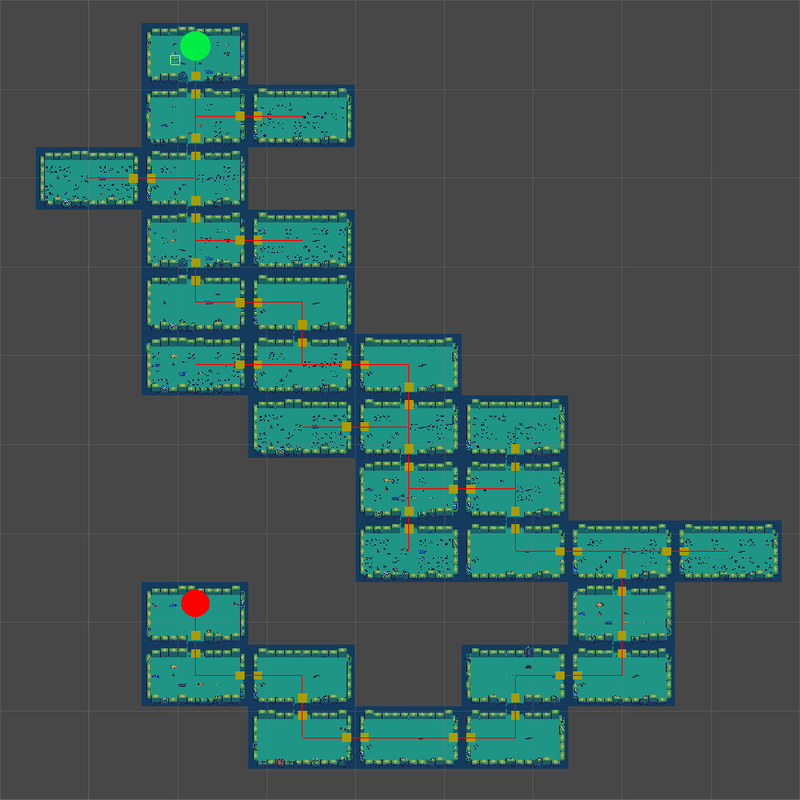 In this image the green dot is the start, the red dot is the exit, yellow boxes are doors and red lines represent the paths you can take. As you can notice the south part of this dungeon is less interconnected than the north part. Yeah, this is a good one. We all know what happens when you leave your procedural generation run loose and just create stuff unchecked from game designers: you start to get a soup of varied things but without any flavor, without any purpose or goal. Let’s say we want a narrative to be "an exit guarded by enemies increased in difficulty", how do we create something like this with the elements of the dungeon? Well, let’s start by saying that the exit must be at the farthest dead-end of the start, and no room before it is interconnected. This would mean we have a line of rooms, from the start to the exit, like a serpent from head to tail. This by his own is somewhat boring so let’s say we also want some dead-ends outside the main path, leading to some treasures and that we want some strong enemies at the end of the dungeon and some weaker ones at the beginning. This will create a dungeon with the following kind of shape. If you follow from the green dot to the red dot you will see there is one single path, you will find enemies following this path, each time harder, but if you go into another path it will lead to a dead-end that may have a treasure. 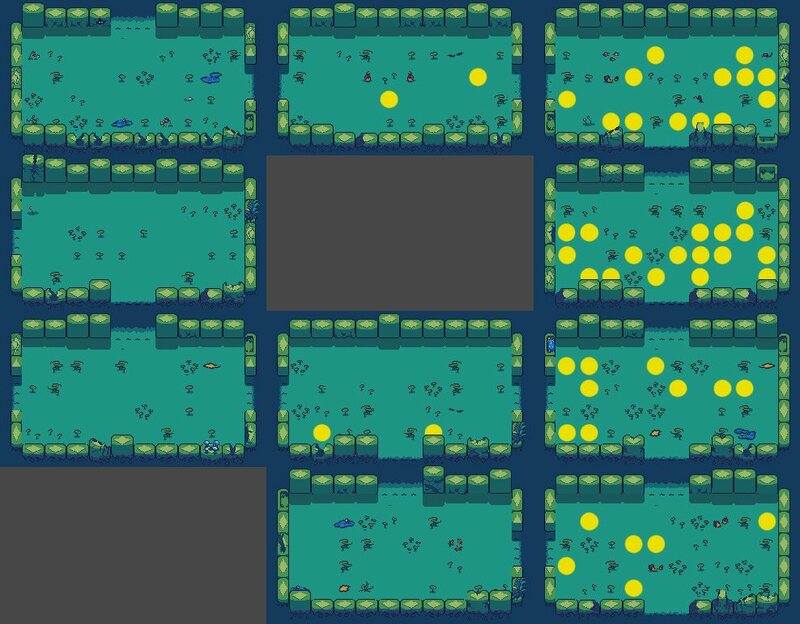 The amount of each can be a percentage of the total room count so if the dungeon has more rooms you will have more of everything in the same proportion, and because the shape and sizes change in each room and you don't have access to the whole map then the feeling of going through it will be different each time. So what does this mean? This is only an example of a Guarded Exit narrative, but what if now I want a trap dungeon with no enemies? 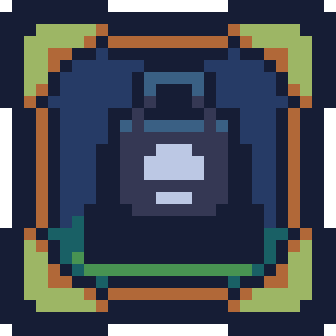 Or a single well-protected chest with a very good item? Or a town floor with mushroom citizens and quests? Or an open field with a more free exploration? Each one of these can be translated to a narrative with a specific goal, and if they are selected from a whole pool of narratives, with some added mixing, you can have a fully random generated dungeon with well-designed goals to complete, making it not only unique in size and shape, but also in gameplay experience. The final point I want to mention is seeds. I guess this is a given, but all narratives and dungeons are seed generated. Currently, we are showing the seeds in the GUI and there is no in-game way to re-entering one. We are wondering if that should be something the player could do, what do you think? Thank you for reading. All feedback is welcome! If we think of in real life mushrooms and fungus we don’t see them as moving creatures. Fungi stay at one place and grow, but in this magical kingdom, all mushrooms have the ability to move, although not for free. 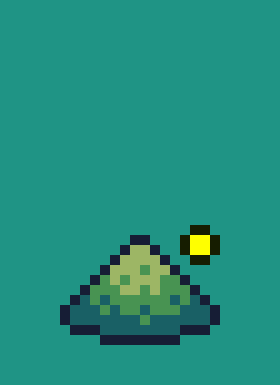 In the game, moving is what happens when you press one of the directional arrows. Doing this will move Caiam Piter in the corresponding direction, entering a new Room. If you look well the green bar is reduced and a floating number can be seen above Caiam Piter before moving. This is the Food Cost that must be paid each time you discover a new room, that is if you have never entered that room before you must pay the cost, but if you have been there before you won’t need to pay anything. 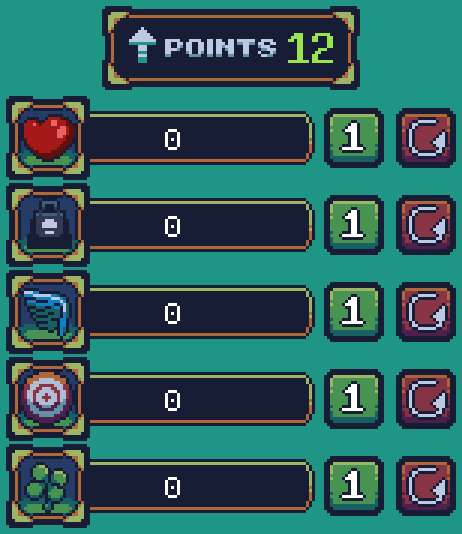 Food cost is constant, but each floor has more and more rooms, and if you run out of food you will have to pay with health instead, so unless you get back some food you won’t get too far. 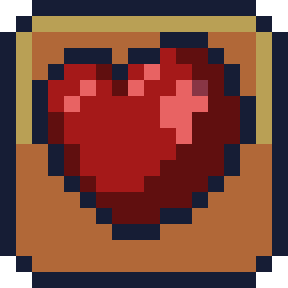 As you move through the dungeon you will find some food pickups laying around that you can click on to collect. 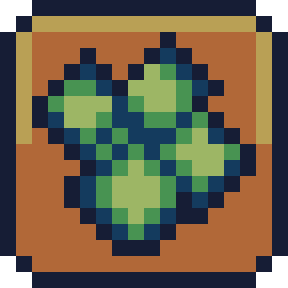 These give quite some food back and can be found almost in any room, just don’t eat more than you need, food won’t grow back again if you re-visit the room. I love the main character and everything about this! This is my own opinion, but I really hope you pace it well. A big part of the game is intended to happen inside the kingdom’s land, this being mainly a forest is important to flesh out how it looks so it doesn’t become repetitive. For this purpose, we have added a biome system to the floors itself. 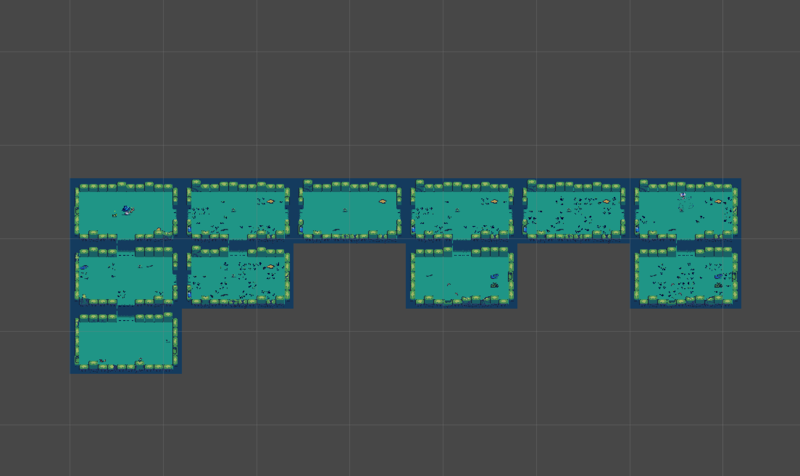 When the floor is created some areas are cover in specific biomes, for example in the image above the right side is cover in yellow dots, this can be heavy foliage, rocks or another kind of prop that will make this area look different than the one at the left. Biomes have a room origin and from there they spread. Biome spreading is across doors, so it can’t spread if the room is not connected. More than one biome can have an effect over a room if they intersect. This has some gameplay implications that make it not just a nice aesthetic thing. 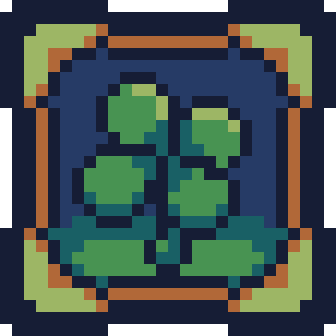 We are considering to have specific rooms linked with specific biomes, for example, if a room has a chest then that room is the origin of a grass biome and if you pay attention to how it spread you could follow it to its origin and find the chest. This could also help you avoid some rooms, like enemies or traps, giving you a guide on how is the overall design of the floor. All this is still being debated by it’s a good way to give visual aid on what may be coming next so you can be prepared. What do you think? Can you find more uses for this biome system? As you play the game you will earn experience. At the moment the only way to earn it is by defeating enemies in combat, but in the future, you will be able to get experience by completing quests, overcoming challenges, reaching specific milestones, obtaining achievements and more. Leveling up is pretty straightforward, when you fill the experience bar your level will advance by one unit and you will earn Stat points, the amount depends on the level reached, starting in 1 point per level. By pressing this button you will open the Level Up Window. When you earn points you don’t need to use them right away. Points will be stored and shown in this window. As you use your points in a Stat it will increase its effectiveness, but also the point cost will increase. This allows us to control an expected level for the character at any giving time, making the game easier to design without enforcing grinding or risking to have an overpowered Caiam Piter. Damage: The raw damage output. Damage Factor: A percentage value that reflects an added raw damage to your attacks. Hits Per Second: How many hits per seconds you do. Critical Chance: The probability of doing a critical attack. Critical Multiplier: The extra raw damage that a critical attack does. Health: Your current max Health. Defense: A percentage of how much the received damage is reduced. Food: Your current max Food. Discovery: A value that reflects how much extra discovery you have. VIT increases greatly , mildly and slightly . STR increases greatly , mildly and slightly . AGI increases greatly , mildly and slightly . DEX increases greatly , mildly and slightly . LUK increases greatly , mildly and slightly . These increments are balanced so you can choose different types of builds and came out with an efficient type of gameplay, whatever you are of the type that like slow but massive damage output or fast hitting damage that does a lot of damage in total. But what about Damage? I don’t see that in the attributes given by stats. Well, Damage is something only weapons have, you can’t improve this by using your stats, only by getting better gear, so I think we should talk about that next time, what do you say? Caiam Piter will need to defend himself in the way out of the kingdom, for that you will find weapons all around the forest. Weapons have Attributes and Stat bonuses that add to the character, with the single exception of Damage Factor, which a weapon will never have. The value of Attributes and Stat bonuses on a weapon are procedurally generated, however, each type of weapon has a quirk that will always make it different from the other types. Axes focus on critical multiplier and not so much in critical chance. Clubs focus on damage and critical multiplier, but almost nothing on attack speed. Daggers focus heavily on attack speed and critical chance, but they do less raw damage. Long Swords are all about damage but overall slow. Short Swords are balanced, they don’t exceed in anything but will always give attributes in everything. Spears are fast and have a good critical chance, but not so much in critical multiplier. Now, these descriptions are the general template that the procedural generation will follow, however, there is a chance that when generating any of these weapons a specialization will be created. Each weapon has different specializations, and each one takes one or two attributes and improves them greatly, changing the weapon image and its name. 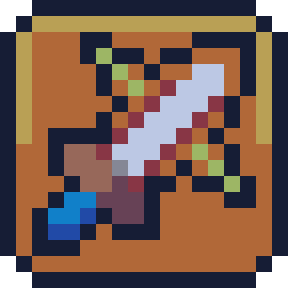 For example, we could have a regular dagger turn into a ceremonial dagger which will improve greatly the critical multiplier of the dagger, these amounts can only be reached with this specialization so other generated daggers of the same level and rarity won’t be able to compare on this attribute. This allows us to implement new weapon types and specialization very easily by having the weapon image and set its template, then the procedural algorithm will take care of creating as needed. Currently, we have six different weapons and each one with four specializations, making 24 distinct weapons to equip with different quirk and uses. This pretty much applies in the same way for how the Stat bonuses are applied for a weapon, but chances of a Stat bonus can be 0 giving no bonuses. This is how things work now, we are planning on tunning some of these rules for Attributes for each weapon type and also add more weapons types and specialization so we can have hundreds of different options for you to play and fashion. 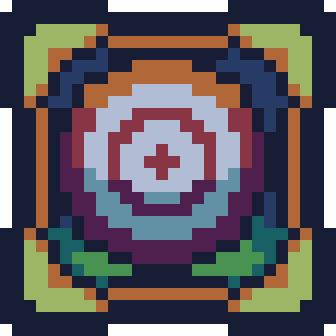 Next time we will take a look at shields and some aspects of how they are generated! 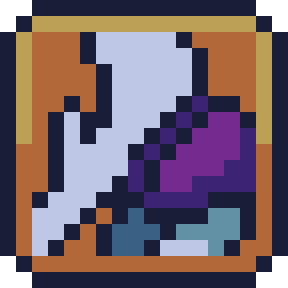 As weapons, shields have Attributes and Stat bonuses that add to the character, with the single exception of Damage Factor, which a shield will never have. Medium Shield focus on food. Huge Shield focus heavily on defense. 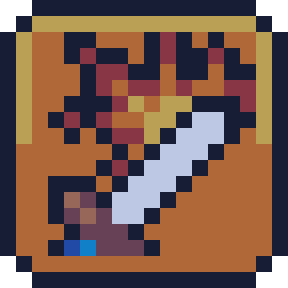 As with weapons, shields can specialize, transforming the sprite and improving specific attributes that will make that specialization apart from the rest. 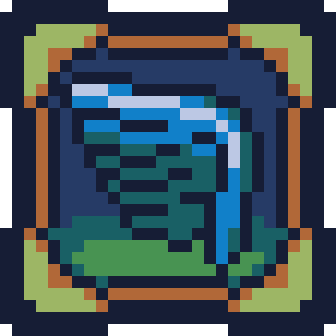 For example, the regular small shield can go from to which is a food specialized shield. Shields are very important for defense, especially when surrounded so it is a good thing to find one early in the game! Next time we will look into a particular kind of item: Artifacts, these don't give Attributes but Passive Skills.